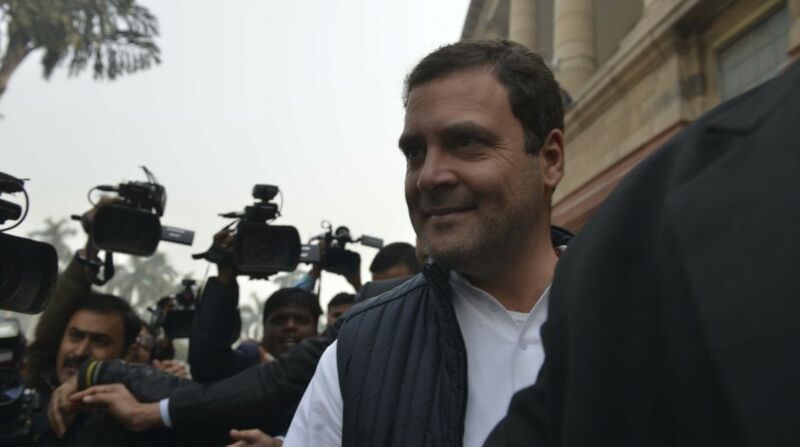 Continuing with his ‘Shirdi magic’ tirade, Rahul Gandhi on Wednesday took another jibe at Union Railway Minister Piyush Goyal over his reported involvement in a company that has allegedly defaulted on payment of loan. 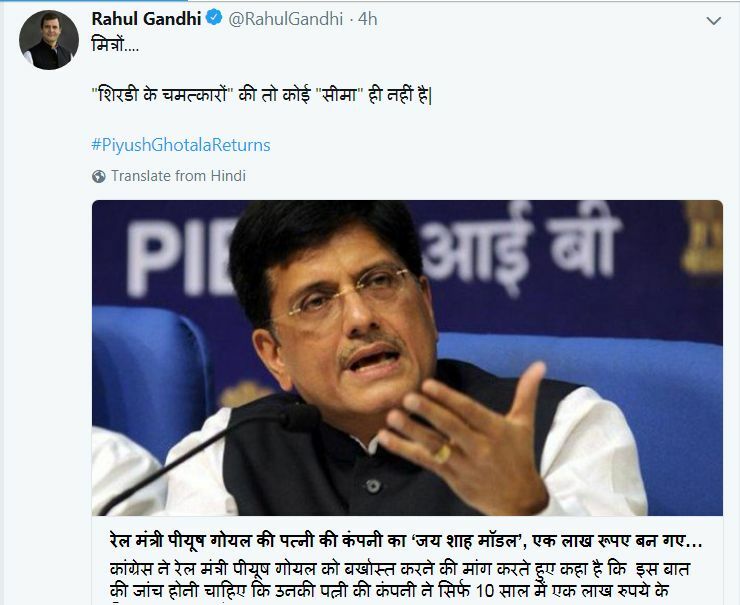 Attaching a news item and using a hashtag #PiyushGhotalaReturns, Rahul Gandhi commented in Hindi that there was “no limit to Shirdi’s magic” (translated). Gandhi’s ‘Shirdi magic’ remarks were in reference to a Mumbai-based company Shirdi Industries, whose chairman until July 2010 was the current Railway Minister Piyush Goyal. The Congress chief has launched an offensive against the BJP and its leaders over allegations of graft while seeking to puncture their claim that there is no corruption in Narendra Modi-led government. The main opposition party at the Centre asked why Goyal has not disclosed his business interests in connection with the Shirdi Industries Limited. The Congress had previously accused Goyal of “impropriety and conflict of interest” due to his alleged links with private firm Shirdi Industries. While addressing a press conference on 5 April, Congress leaders Ghulam Nabi Azad, Veerappa Moily and Pawan Khera had alleged that Goyal was chairman and whole-time director of Shirdi Industries from 25 April 2008 to 1 July 2010 during which the company took a loan of Rs 258.62 crore from a consortium of banks headed by Union Bank of India. Goyal later resigned from the company’s board and the company was subsequently declared sick due to its inability to repay loans. In response, Goyal had said that he has no conflict of interest in Shirdi Industries. Responding to the allegations levelled by Congress, a statement on behalf of Goyal had said the judicial proceedings of national company law tribunal in fact clearly highlight the transparent process adopted for turning around the company Shirdi Industries. “The malicious statement by Congress about Goyal factually misleads and makes incorrect conclusions and is full of factual inaccuracies, mixes up of dates and alludes to events with no relevance to Goyal’s brief association with Shirdi Industries,” a statement had said.